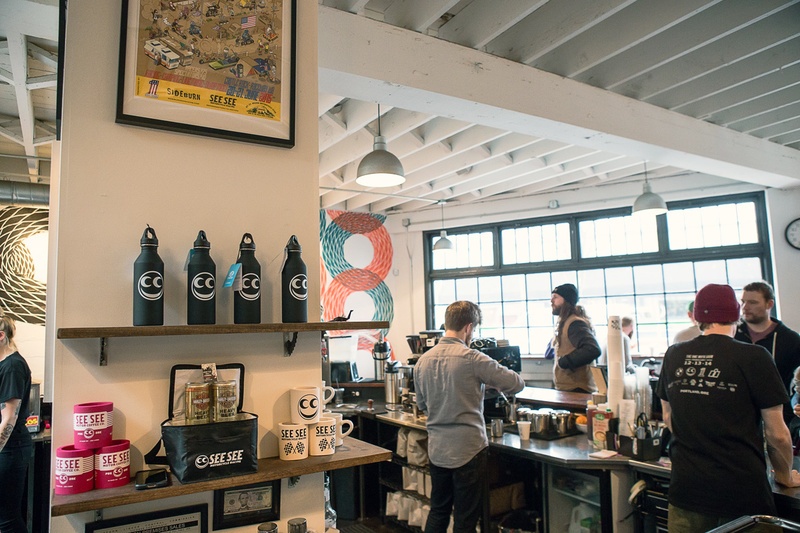 Portland, Oregon, is known for its love of motorcycles, and as the birthplace of See See Motorcycles, it’s where you’ll find one of the coolest coffee shops this side of the Mississippi. 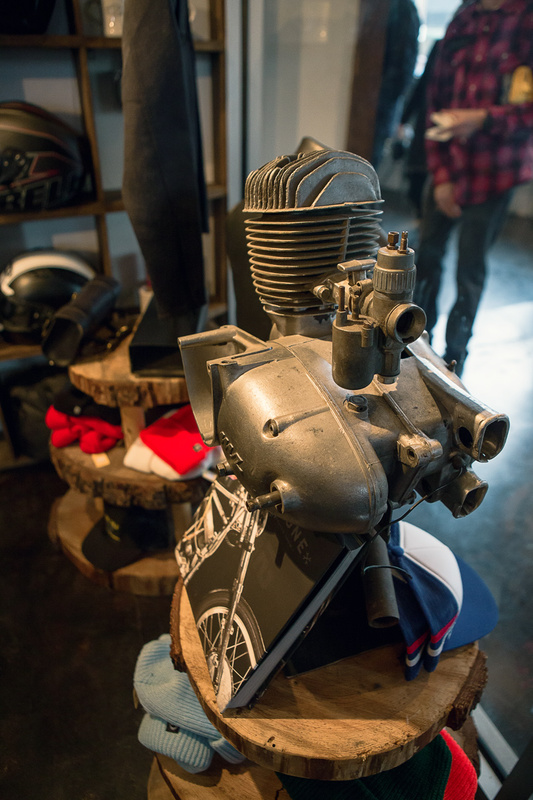 See See Motor Coffee Co has some of the best coffee, tastiest food, and coldest drinks in town, and there’s also a ton of motorcycle memorabilia. 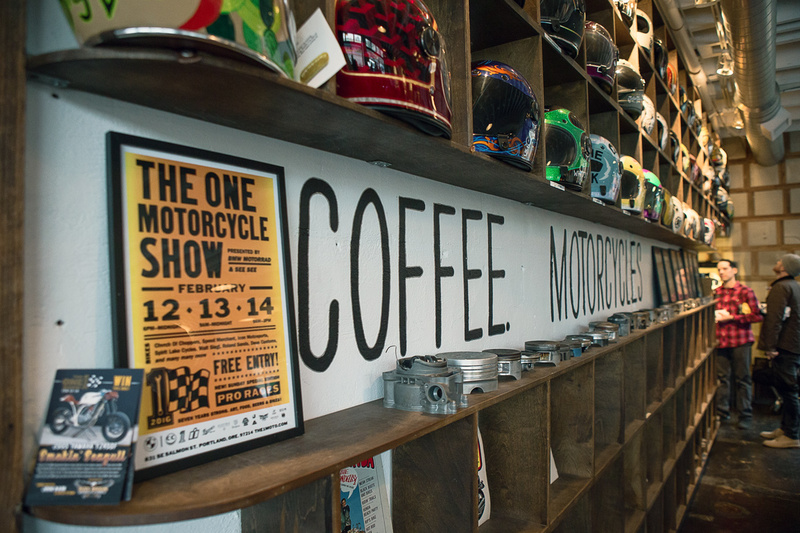 While we were in town for The 1 Motorcycle Show a few weeks ago, we stopped by to cure our hangover with a breakfast sandwich and a warm cup of coffee. 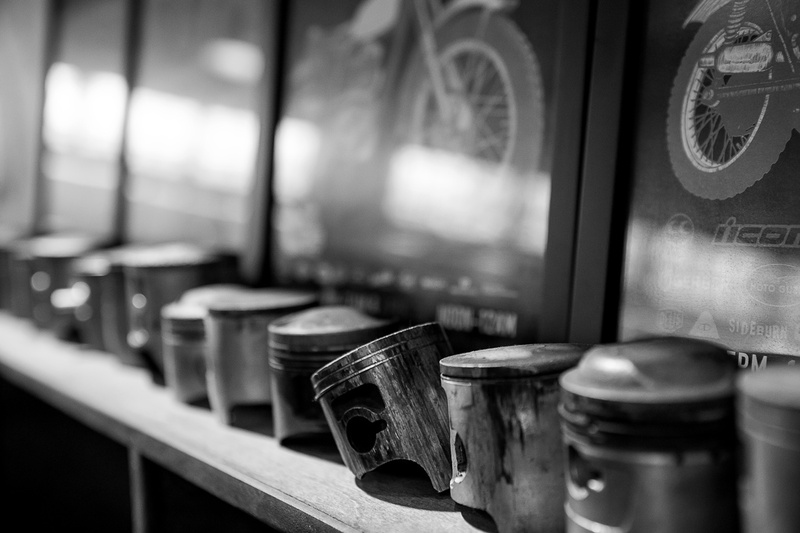 There’s plenty to stare at while you eat, as the entire shop is littered with rad motorcycle parts, helmets, bikes, and gear. 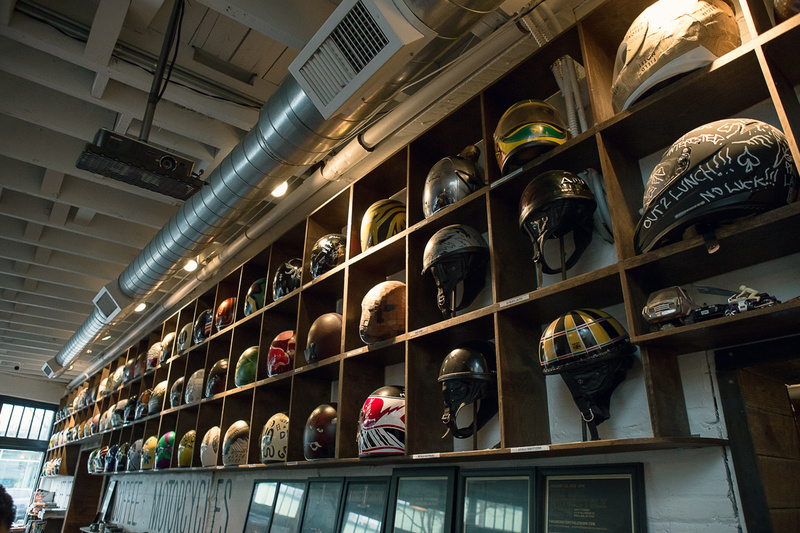 On the main wall, numerous helmets are displayed from the 21 Helmets show along with old burnt pistons and random art. 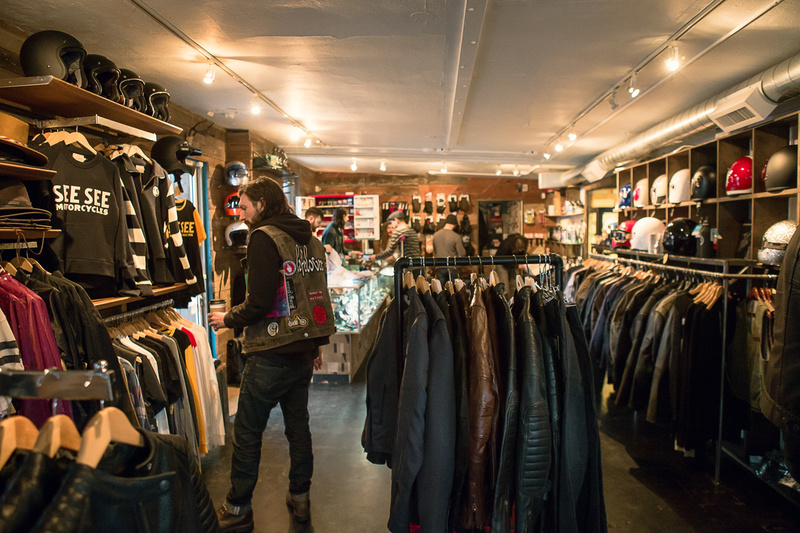 Behind the café is where you could say the magic happens, though, as that’s where the motorcycle shop is located. 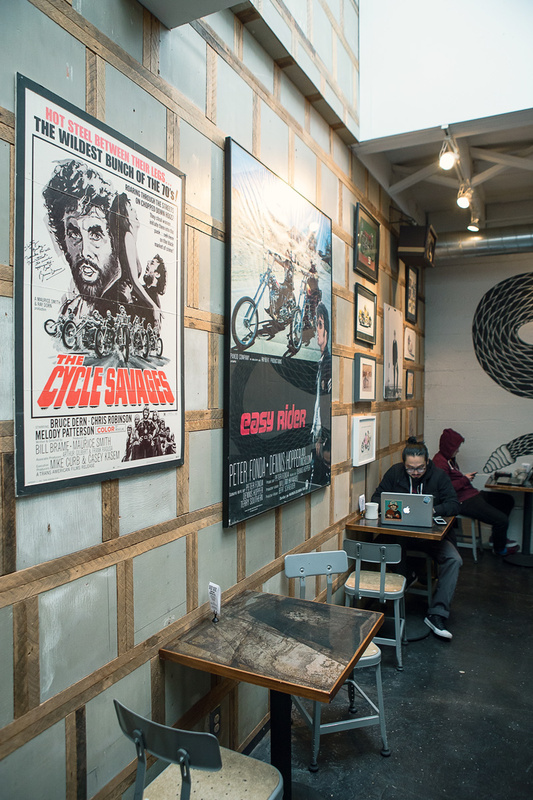 Thor Drake, one of the founders of See See, works on his many bikes back there, most of which he then rides at local races. If you’re ever in Portland, you need to add this place to the long list of eateries and hot spots. 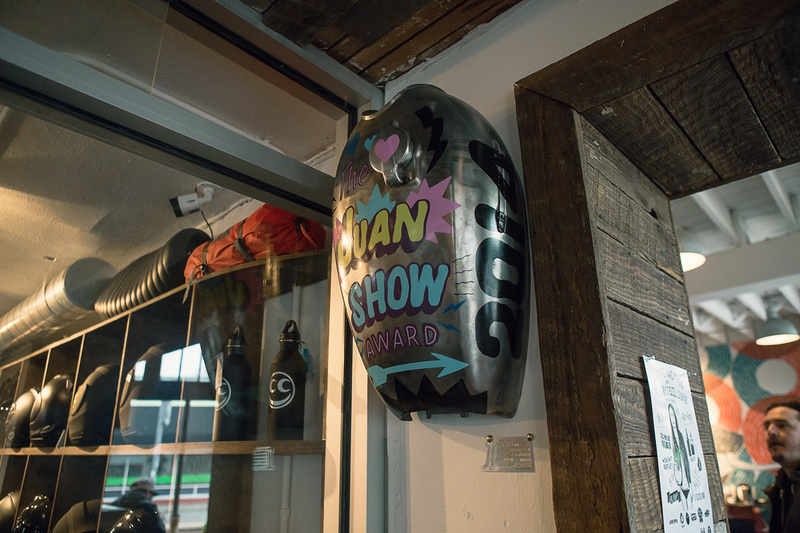 At the very least, there won’t be a line around the block like there is every day at Voodoo Donuts.